Once upon a time – in the 30s, 40s, 50s, and the 60s - flying was a magical experience for travelers. It was a real treat to fly anywhere! When I think about what it’s like flying today, I get nostalgic. Lunatics are shooting up airports – LAX recently – and passengers are getting less service for higher prices! As the holidays draw near prices to fly soar, and the chance of getting stuck in an airport of the holidays is greater than ever before. It’s hard to believe the difference. You had to be there to compare. 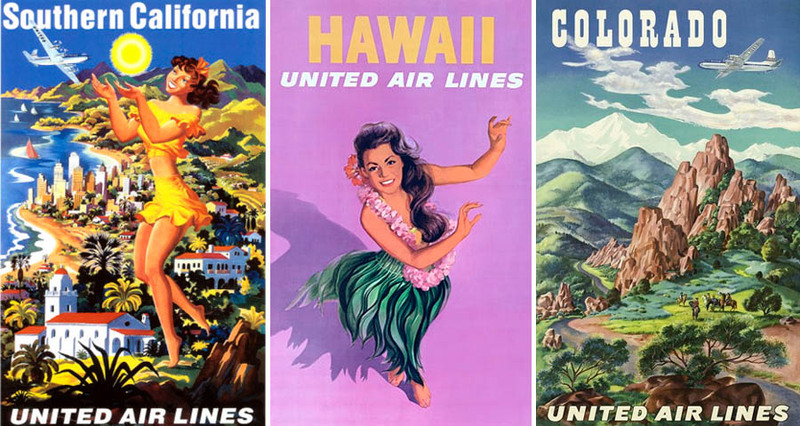 I’ve assembled some airline posters and post cards to give you a small peek of what it was like. 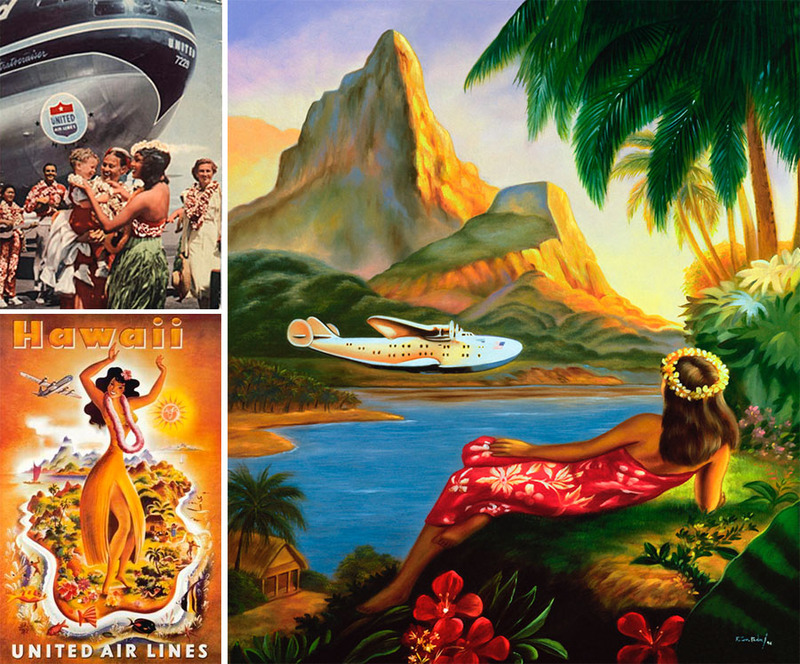 Vintage Airline Travel Posters Reflect the Glory and Radiate the "Golden Rays" of Romance. 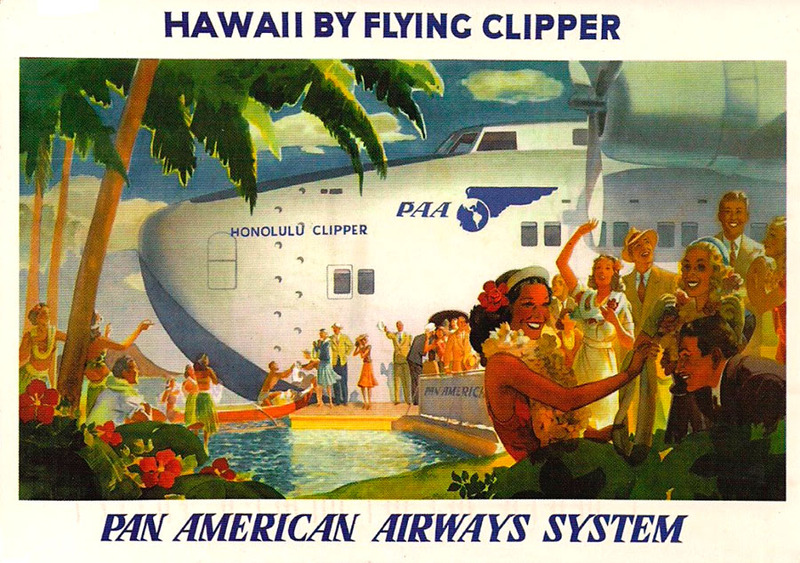 Hawaiian postcard (below) from United Airlines in 1940 (including wonderfully cheerful hula dancer poster). "Guests to the Hawaiian Islands were greeted by the Hula, an expressive sort of Polynesian dance."